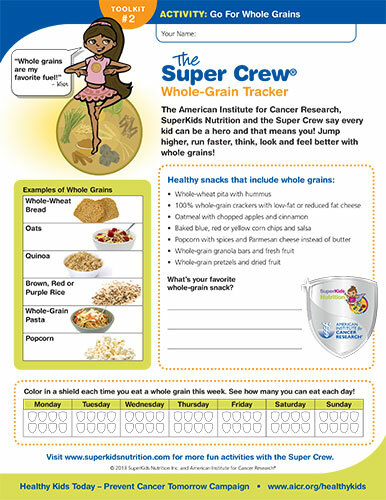 Use these activities to help children learn how to choose foods and activities that can reduce their cancer risk. 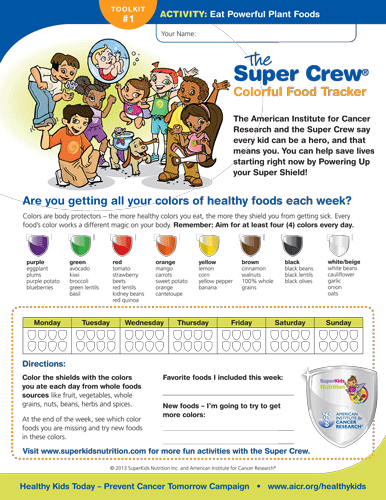 Download the Colorful Food Tracker activity. 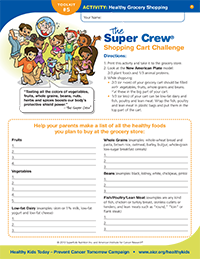 Download the The Super Crew Shopping Cart Challenge (pdf). 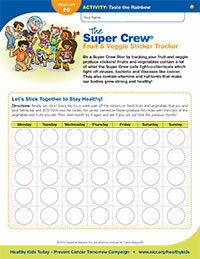 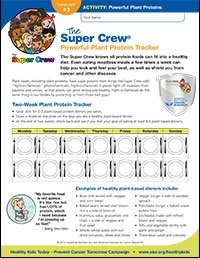 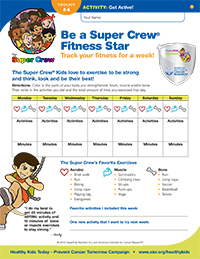 Download the The Super Crew Fruit and Veggie Sticker Tracker (pdf).